Since Nicki’s boyfriend, Matt, has been in Uganda, and my fiance, Patrick, likes to have happy hour with his friends after work on Friday until 11 p.m., Nicki and I have started a new tradition on Friday nights – we order take out, pick up Maggie (her dog), and hang out at my house while we chat, read Anthro catalogs, and bake. This past weekend we went crazy and baked muffins and honestly, some of the yummiest cake Patrick and I have ever tasted. 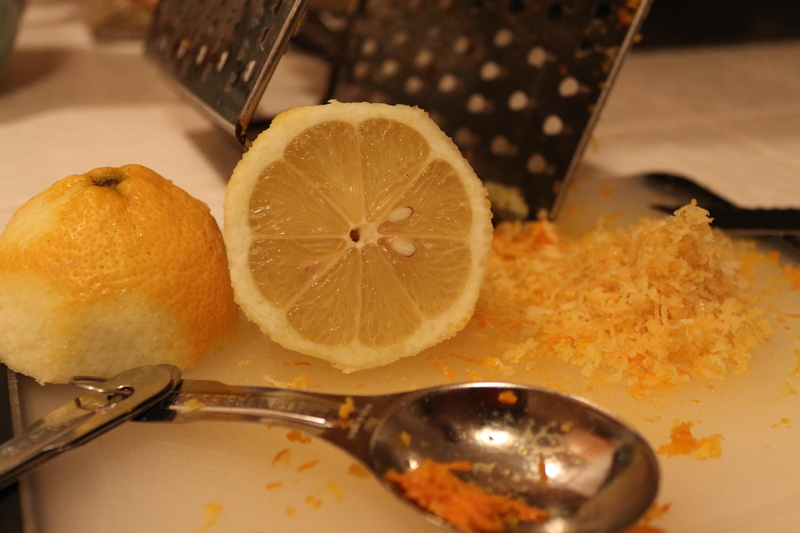 I made it first all lemon, and then experimented with lemon/orange/grapefruit combo, which was also delish – although I must say I liked the pure lemon flavor the best. 2. In a larger bowl, whisk together all the wet ingredients: zest, juice, oil, buttermilk, eggs and extract. 3. In a second smaller bowl, mix together the sugars, flours, salt, baking soda, baking powder. 4. Add half of the dry mixture to the wet and stir to incorporate. Add the rest of the dry mixture and stir to combine. Fold in the blueberries. 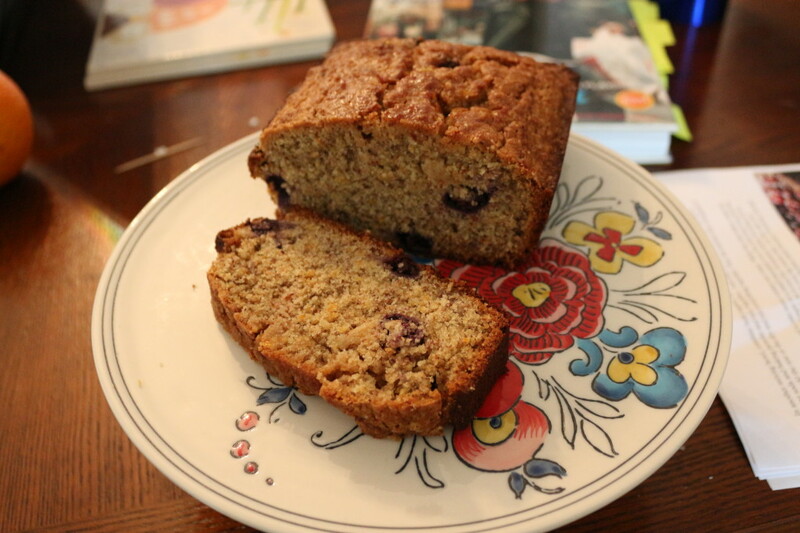 Pour into a well greased loaf pan and bake for 40-50 minutes. 5. While the cake is baking, make the syrup. Combine the juice and sugar in a saucepan and cook for about 5 minutes, allowing it to bubble and the sugar to dissolve. 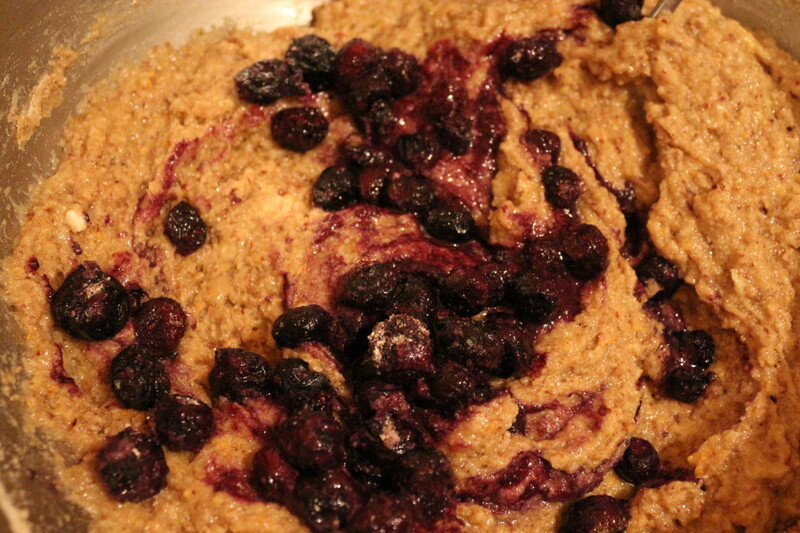 This entry was posted in Breakfast, Sides, Snacks, Sweets and tagged BLUEberries, Lemons, oats, Vegetarian. Bookmark the permalink.